Not all four causes are equally active in each person’s acne, some people may have too much oil production while another may have a hormonal imbalance. Acne can cause significant distress regardless of the severity and finding the right skin regimen is important. Acne is a chronic condition that typically improves with age although it can stay persistent into the 30s and 40s. Therefore, the treatments require daily maintenance, as there is no global cure for acne. Treatment revolves around targeting the main causes of acne by keeping pores unclogged, reducing oil production, targeting acne-causing bacteria, and decreasing overall inflammation. The typical treatments include either topical or oral medication, or a treatment that combines both oral and topical treatments. Although acne is not an infection, antibiotics are frequently used to help control inflammation and reduce the number of Propionibacterium acnes bacteria (now renamed to Cutibacterium acnes). Controlling hormone levels with oral medications is another route to treatment in individuals with acne caused by hormone imbalances. 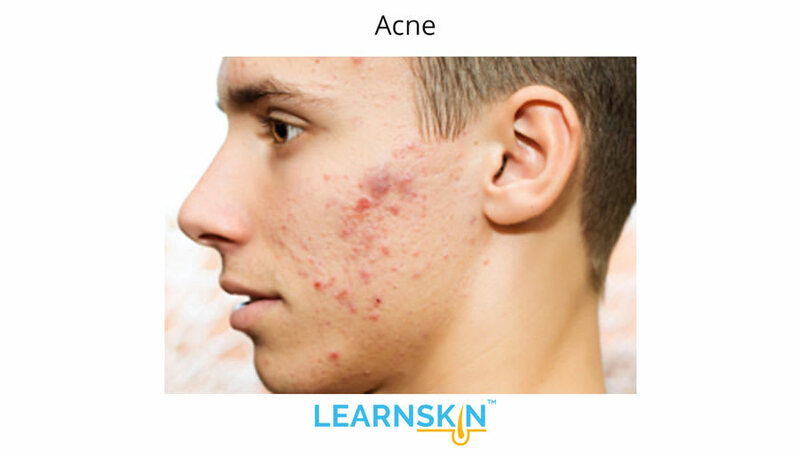 Acne is a skin disease typical of adolescence and early adulthood. Studies have estimated that greater than 90% of adolescents will develop some form of acne. Acne typically affects the face and can affect the neck, chest, and the back too. 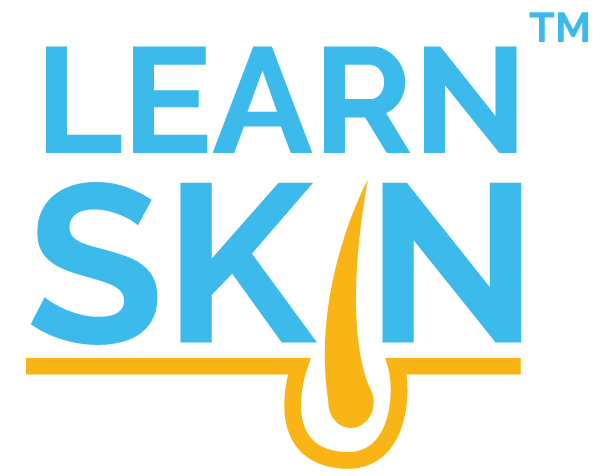 There are two groups of acne lesions known as inflammatory and non-inflammatory lesions. Inflammatory lesions are red bumps, pus-filled whiteheads, and deep red lesions known as inflammatory nodules. Non-inflammatory lesions are not as red and tend to be skin-colored, such as comedones. Acne caused by hormone imbalances is typically present on the jawline. Acne can lead to dark spots on the skin in those with darker skin pigment. Acne can leave behind scars. Clogged pores: This is not from dirt but from overgrowth of the skin’s cells. Skin cells will block the pore leading to back-up of substances that can end up causing inflammation. Overproduction of oil: from the skin’s oil glands, known as sebaceous glands. Several things can trigger more oil production, such as hormones and genetics. Bacterial overgrowth: Propionibacterium acnes (now known as Cutibacterum acnes). Everyone has this bacterium on their skin, but in people with acne, this bacterium overgrows. Inflammation: due to activation of the immune system. Age: Acne tends to affect those that are in their teenage years and in their 20s. However, acne can last into the 30s and 40s. Gender: Women are more prone to acne caused by hormones and may benefit from oral contraceptives or other treatments to control their hormone levels. Genetics: If your parents or siblings have had acne, there is a greater chance that you will have acne as well. Exercise: Exercise is commonly thought to worsen acne. However, one study found that exercising did not increase the chances of breakouts on the body acne. However, women should be wary of exercising with makeup on as this may worsen acne. Be sure to have a clean face prior to working out. Diet: Several studies have shown that milk intake, specifically skim milk, and foods that have a high glycemic-index may be related to worsened acne. Products that clog pores: Products that cause the pores on the face to clog can worsen acne. Any product that does not have the words non-comedogenic should be used with caution. Benzoyl peroxide: This is available in many over-the-counter preparations. It helps with unclogging pores and in reducing the amount bacteria in the lesions. It can be used as part of a daily regimen or as spot treatment for the occasional pesky pimple. Salicylic acid: This is available in many over-the-counter preparations. It helps with unclogging pores by shedding dead skin cells. Sulfur-based washes: This is available as a prescription and as over-the-counter preparations. It helps reduce inflammation. Retinoids: The most common retinoids are tretinoin, adapalene, and tazarotene. Most retinoids are available as prescriptions, but adapalene can be purchased over-the-counter. Retinoids help with unclogging pores, reduce the number of bacteria, and decrease inflammation. Antibiotics: These are available as prescriptions from a health care provider. They may be prescribed alone or in a combination prescription with a retinoid. Antibiotics help reduce bacteria and inflammation. Antibiotics: These are available as a prescription from a health care provider. They help reduce bacteria and inflammation. Oral contraceptives: These are available as a prescription from a health care provider. They help reduce the oil production from the skin’s oil glands by regulating hormone levels. Spironolactone: This is available as a prescription from a health care provider. It helps reduce the oil production from the skin’s oil glands by regulating hormone levels. Isotretinoin: This is available as a prescription from a health care provider. It helps unclog pores, reduce oil production from the skin’s oil glands, reduce the amount of bacteria, and reduces inflammation. Mediterranean diet: One study found that those that eat a Mediterranean diet are less likely to have acne. This study was a correlation based study and did not look at it from a primary perspective. Low glycemic diet: A study in males with acne showed that a low glycemic diet improved their acne. Avoid heat and humidity: High heat and humidity can lead to a type of acne known as tropical acne. Stathakis V, Kilkenny M, Marks R. Descriptive epidemiology of acne vulgaris in the community. Australas J Dermatol.1997;38(3):115-123. PMID:9293656; Link to research. Janiczek-Dolphin N, Cook J, Thiboutot D, et al. Can sebum reduction predict acne outcome? Br J Dermatol.2010;163(4):683-688. PMID:20518779; Link to research. Xu Y. Dermatology in Traditional Chinese Medicine. United Kingdom: Donica Publishing Ltd. ; 2004. Cao HJ, Yang GY, Wang YY, et al. Acupoint Stimulation for Acne: A Systematic Review of Randomized Controlled Trials. Med Acupunct.2013;25(3):173-194. PMID:24761172; Link to research. Perkins AC, Maglione J, Hillebrand GG, et al. Acne vulgaris in women: prevalence across the life span. J Womens Health (Larchmt).2012;21(2):223-230. PMID:22171979; Link to research.